A business is nothing without its employees. No matter the size of your business, whether large or small, every employee deserves recognition. 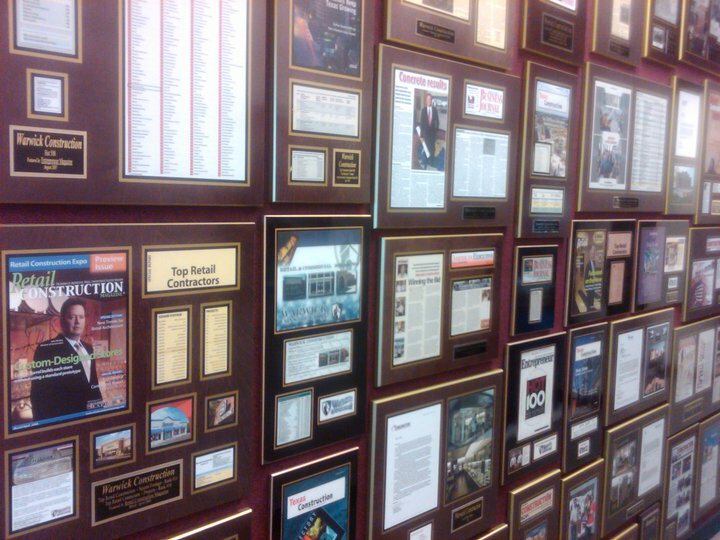 You can even make an entire wall dedicated to the accomplishments of your employees! The possibilities are endless. Employee recognition is not only great for the esteem of your employees, but they are also good for marketing! But in what ways? How can a plaque benefit both your employees and your business? When your employees get recognized for the work they do with a plaque, it not only boosts their self-esteem, but it also increases your company’s marketing plan. Employees who are recognized in some way are inspired to work harder and feel great about themselves. Placing a plaque on the company’s wall with their name on it preserves their memory and cements their accomplishment with the company for generations. Any accomplishment is worthy of a plaque. Whether it be your employees’ five, ten, or twenty year anniversary with the company or recognition for the success of a crucial project, the employees are a large part of the success of your company. As for the marketing plan in employee recognition, plaques not only decorate your workspace, but they also establish your credibility as a business as they show that you hire the best. You have great people working for you, and when their accomplishments and achievements get showcased in plaques, then customers will see that not only is your business successful, but your employees are too. You can feature the plaques on your blog or website to showcase the recognition on a second platform as well. Employee recognition is also a great marketing tactic in attracting new potential employees as well. Seeing what other employees have done may inspire them to want to join your company, thus bringing both new business and new faces that can also do great things for your company. Our experienced designers hand craft the plaques themselves with their expertise. The outcome of the layout is designed to display your newspaper article, magazine feature, or award in a way that is both stylish and modern, Your feature or article will look professional and balanced, and will benefit your company greatly. The original article or award will be mounted to the wooden base and sealed with heat for the best quality of preservation. The wood itself will be a three-quarter inch, hand-stained, and beveled base with the trim and color of your choosing. It is all about your own personalization, and we will make your plaque exactly the way you want it. A personalized plate can be included with the details of your choosing, such as the name of the magazine or newspaper, the name of your company, the name of the recipient, the date given, or any other descriptions of your feature. With a black overlay, the lettering of your personalized plate is available in gold or silver. Styles of the wood stain include ebony, mahogany, walnut, whitewash, or natural. The trim is available in black, gold, silver, red, orange, yellow, green, blue, or purple. Every plaque is as unique as the award or feature and its recipient. Every detail is designed with the central focus on your article, award, or feature, and your personalization makes the plaque one of a kind. Not only can you promote your business on your website, blog, or as a display on your wall, but you can also bring plaques to showcase events such as trade shows to draw attention to both your company and of course your employees. There are absolutely no downsides to personalizing your employees’ plaques with us. All we need is some background information and the personalization details, and you will receive your plaque within a month. If it does not look just right, shipping is on us and we will make it look exactly the way you want it. Contact us today for your employees’ well-earned plaques.